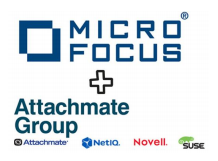 With the acquisition of more software development companies, Micro Focus Ltd needed a cost-effective, reliable and secure solution allowing the staff full collaboration across the group of companies. SMART TECH interactive screens running Meeting Pro software was chosen as the industry hardware and software solution. collaboration systems were key to their success. With different sites across the world, Gripple needed a solution to their internal communication challenges. Systems Assurance designed and developed a custom digital signage solution in multiple languages. • Dissemination of information is now quicker and easier saving time and increasing productivity. • The right message is communicated to all teams. • Everyone in the business is more informed and therefore more motivated. • Gripple have a structured platform to build further business solutions on. While innovation has been a driving force in the Kellogg Company's growth for more than a century, Kellogg's intra-office and employee communications system was stuck in the 80's. Recognising the importance of timely, uniform corporate communications throughout the enterprise, Kellogg's updated its employee and corporate communications systems with an enterprise-wide digital signage solution. Initially, twenty BrightSign solid state HD210 media platers were deployed, and it was so successful that Kellogg had systems integrator Intaglio AV add another 43 BrightSign network enabled players to bring the digital signage solution to more than 50 offices nationwide. International luxury brand Dior is using BrightSign players to drive video walls in 13 stores and concessions in Europe and Asia. The stores and concessions in France, UK, Italy, Spain, Russia, China and Japan feature two or more video walls with 2-5 synchronised screens driven by BrightSign players. Dior commissioned Digitalli to provide synchronised video content to run on all of the screens worldwide. Bertrand Degien, Technical Director, recommended BrightSign players for the new Points of Sale (POS) they installed. BrightSign solid state players are the playback platform of choice for Digitalli at new stores around the world based on their stellar image quality and total reliability.